White House hints at new cyber policies. Changes sparked by the cybersecurity executive order are on the horizon, a top administration official said, as cyber workforce issues continue to challenge agencies. Lawmakers lose patience with NBIB over clearance backlog. Senators expressed deep frustration about the government's lack of progress reducing the backlog of 700,000 pending security clearance requests, with some threatening to overhaul the process completely. OPM puts agencies on notice about hiring politicals for civil service jobs. The federal government's HR agency put up a caution flag about hiring former political appointees for career jobs, as Congress weighs in on the practice of current politicals "burrowing in" to the civil service. How can agencies focus on the workforce during reorgs? The Trump administration faces the challenge of trying to improve federal employee engagement amid plans to reduce overall headcount at many civilian agencies. Centers of Excellence. 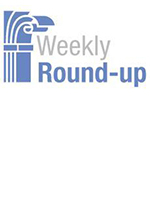 Federal News Radio reports: “When it comes to adopting new technology and revamping online services to the public, federal agencies don’t always need to reinvent the wheel. . . . In February, the Agriculture Department launched Farmers.gov, a one-stop shop for its customers to find answers to their questions, contact USDA representatives or discover new USDA services. . . . While USDA has started from the ground up on some technology initiatives — like the Centers of Excellence it’ll stand up with help from the General Services Administration and the Office of American Innovation — in this case, it lifted the idea right from the Veterans Affairs Department. USAF Slashes Red Tape. Federal News Radio reports: “The Air Force is expanding some of the authorities that have proven successful within its rapid capabilities office to help procure larger and more traditional weapons. . . . .The new authorities allow for early and prominent involvement of airmen in the developmental and operational testing of Air Force systems. They also create short, narrow chains of command with direct oversight from senior Air Force leaders, establish small integrated teams of experienced people to operate under a single program officer and allow for the use of waivers to cut through encumbering red tape. Re-Skill for the Future. Federal News Radio reports: “The nature of federal jobs is changing. Automation and artificial intelligence are coming, and the Office of Personnel Management wants to make sure agencies and their employees are ready when the day comes. . . . In the coming months, OPM will have more guidance for agencies to better prepare their employees to handle new kinds of work, the agency’s acting director, Kathleen McGettigan, said. New Week on The Business of Government Radio Show. What is a Grounded Leader? What are the Roots to Effective leadership? How can you become a conscious leader? 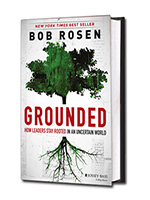 Join host Michael Keegan next week as he explores these questions and more with Bob Rosen, Author of Grounded: How Leaders Stay Rooted in an Uncertain World. That's next week on The Business of Government Hour.